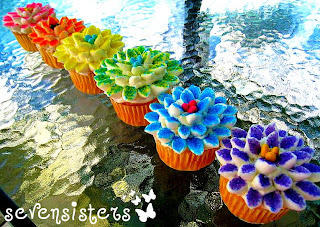 Lately I've been on a cupcake kick and this week I have decided to add some flower power! First I frosted vanilla cupcakes with white frosting. Then I cut a bunch of mini marshmallows in half along the diagonal and dipped the sticky side in colored decorating sugar. 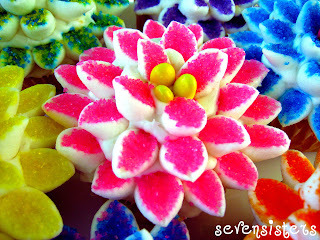 Then starting from the outside lined the marshmallow halves up in rings on the top of the cupcake. Finally I finished the cupcake off with three colored, chocolate - covered sun flower seads sticking up in the middle. And the best way to display cupcakes... (well... anything!) rainbow order!!!! 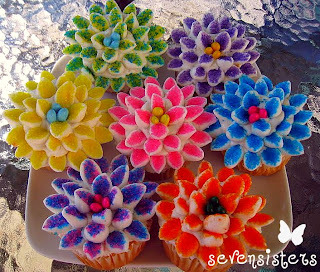 These cupcakes are beautiful but very easy to make!! 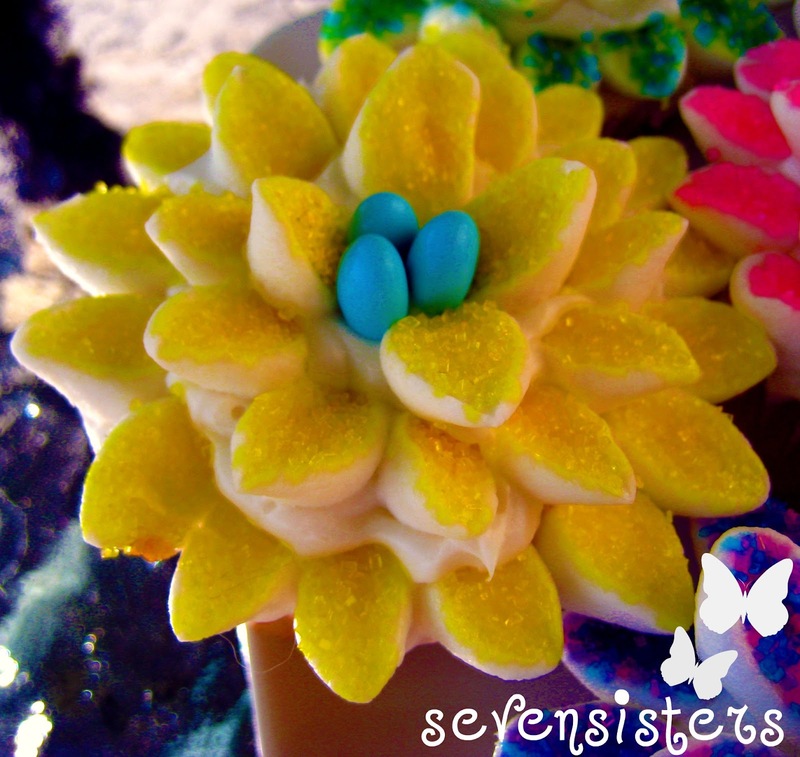 For more cute cupcake ideas check out my Cutie Pie Cupcakes!! Have a super, sizzlin' Saturday!! These are amazing, I can't wait to make some! 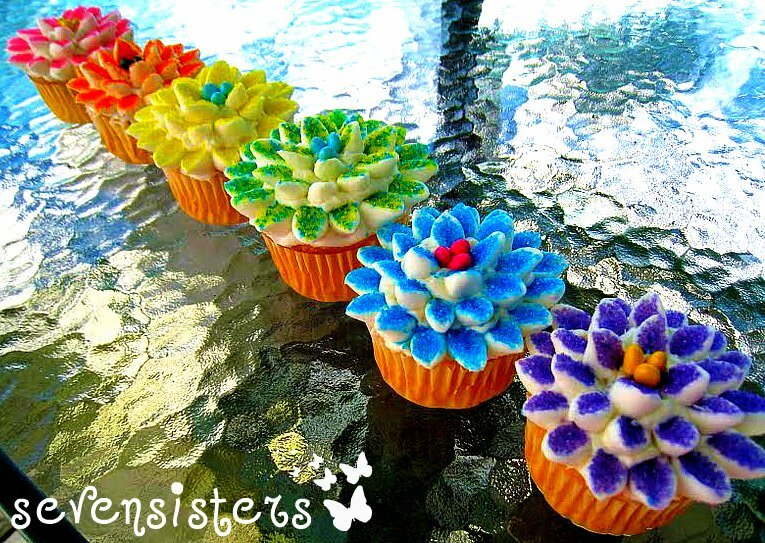 These cupcakes are gorgeous!! 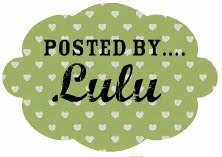 and I like the new blog design! These are stunning! 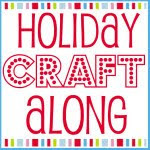 So many creative displays could be made with them. Saw you over at TT&J.